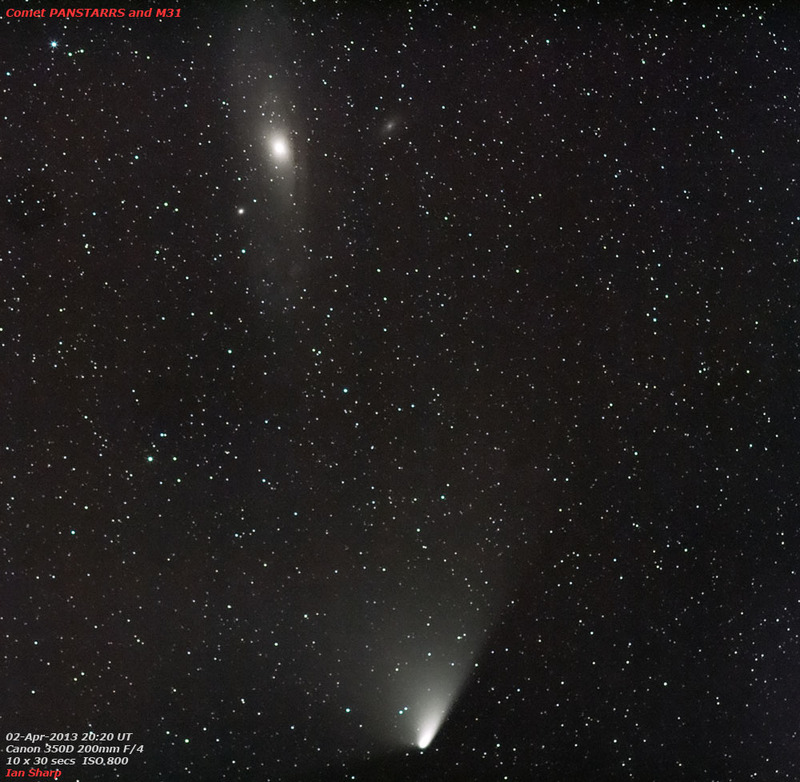 Taking advantage of a beautifully clear night, some of my astro-chums and I spent the evening observing and photographing Comet PANSTARRS. This time from near the top of St. Roche’s hill (known locally as The Trundle) near Goodwood, West Sussex. Apart from myself, the group consisted of Pete Lawrence (from The Sky at Night), Damian Peach (the world’s greatest planetary imager), Ninian Boyle (author of The Lion’s Paw) and Mark Parrish (regular contributor to the Sky at Night magazine). I took my AstroTrac unit mounted on a sturdy tripod, and my Canon 350D with a 200mm F2.8 lens which I used at F4. 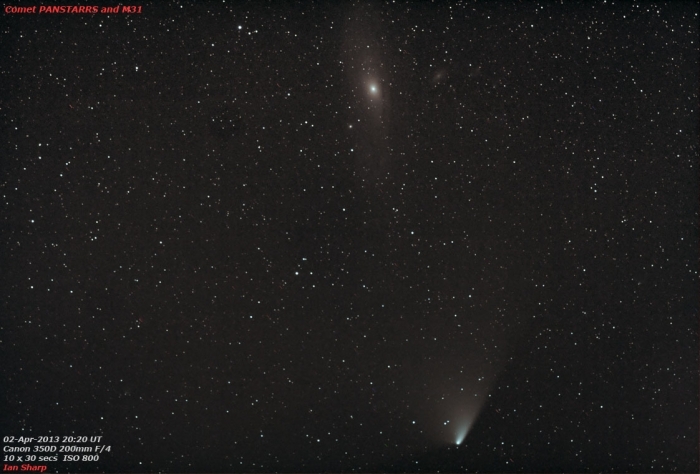 I decided this would be the best kit to be able to fit the comet and the Andromeda Galaxy (M31) in the same frame. Here’s the first result.